There is almost always a point in the process of illness where logic, reason, and medical expertise fail. It’s at this point a patient slips through the cracks, sometimes never recovering. The same is true of any life crisis including divorce, relationship upheaval, financial downfall, bereavement, job loss, and family issues. Diane O’Keefe-Kanavos survived three incidences of cancer missed by the medical community and the tests on which they relied—that is as lucky as winning the lottery three times in a row. Luck had little to do with it. Divine intervention did. She upholds that she survived by using something many in the medical field and other establishments do not even acknowledge as being real. Her innate intuition. You have it too. She wants you to learn to listen to it. It may save your life one day. 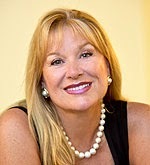 Kathleen O’Keefe-Kanavos was born to a military family, raised in Europe, graduated from Munich International High School in Germany, has a degree in Special Education from Keene Teacher’s College in Keene, NH, and taught Special Education for 10 years and Psychology at the University of South Florida. She is a two time breast cancer survivor.